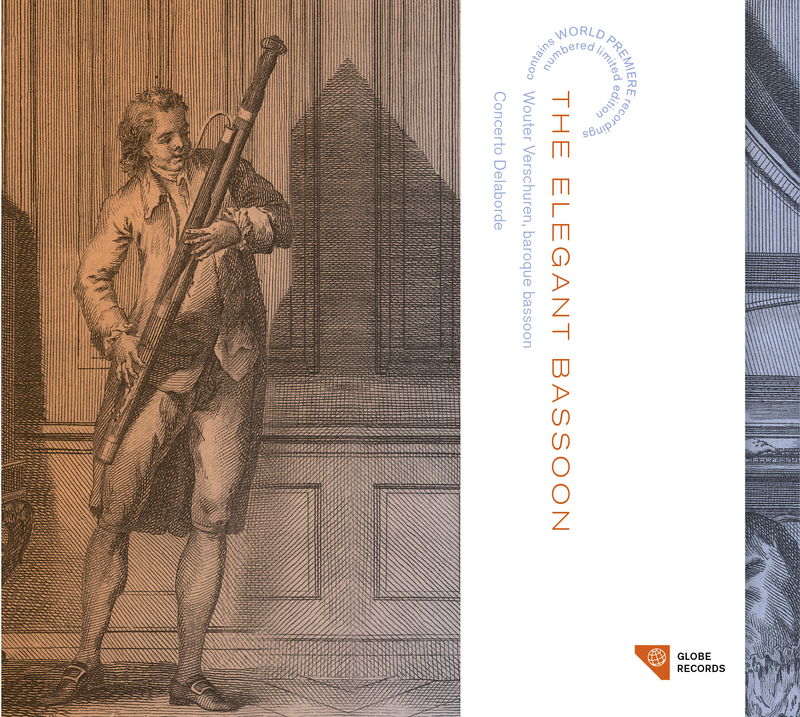 Dedicated entirely to the baroque bassoon The Elegant Bassoon features a rich variety of repertoire dating from the earliest days of the instrument’s existence, until the period in which the classical bassoon took over. Bassoonist Wouter Verschuren and Concerto Delaborde here present the instrument in exciting unusual ensembles, like bassoon and traverso or viola da gamba. The reason that these combinations of instruments were not used often in the past, lies in the fact that traverso and viola da gamba favor keys with sharps, such as D major, whereas the bassoon favors keys with flats, like F major. This album contains 6 world premiere recordings. Ganz dem barocken Fagott gewidmet bietet The Elegant Bassoon eine große Fülle an Repertoire, von den ersten Tagen des Instrumentes bis in die Zeit, in der das klassische Fagott dominierte. Fagottist Wouter Verschuren und Concerto Delaborde präsentieren das Instrument in aufregenden, ungewöhnlichen Ensembles wie Fagott und Traversflöte oder Viola da Gamba. Der Grund, aus dem diese Kombinationen in der Vergangenheit nicht oft eingegangen wurden, ist der, dass sowohl die Traversflöte als auch die Viola da Gamba sich in Kreuztonarten wie D-Dur wohlfühlen, wohingegen das Fagott B-Tonarten wie F-Dur bevorzugt. Auf diesem Album hören Sie sechs Welterstaufnahmen. It sounds like the first day of spring. I recommend it highly. Verschuren speelt overtuigend en vertolkt in ieder stuk een andere stem en functie. Though the bassoonist delivers a stellar account of the Sonatina Quinta in a minor, it is the Sonata a 4 in d minor from Tafelmusik that is the CDʼs highlight.